A toolbox is a storage compartment that tools are kept in. It will also get you a high score in scrabble using all of your letters up. Tool boxes is a generally accepted spelling alternative of toolboxes. However we also view them as different things here at Ute Safe. Only the best tool boxes become toolboxes! The word toolbox is derived from the action of taking a tool, taking a box, and combining the two together to create a toolbox. However just adding a tool into a box is really just a tool box. This doesn’t mean that you have the right box for your tools and that it is the best box for the job. Having a toolbox means something more. 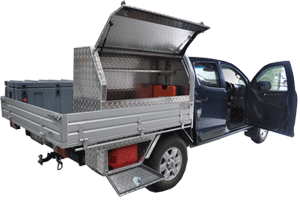 A toolbox specifically designed for holding your tools however, custom made to suit your work style, that is what we specialise in at Ute Safe. 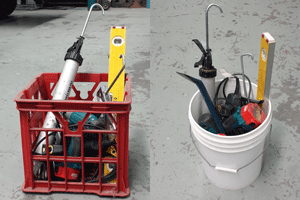 The tools of your trade are vital to your work and we understand they need to be secure. We are happy to discuss how we can help you box the things you need in an efficient and practical way that will suit your working requirements. We focus on designing the best toolbox for you. We aren’t just making any old box for you to put your tools in. PreviousPrevious post:What’s The Deal With Tread Plate?NextNext post:How Do You Secure A Toolbox To Your Ute Tray?